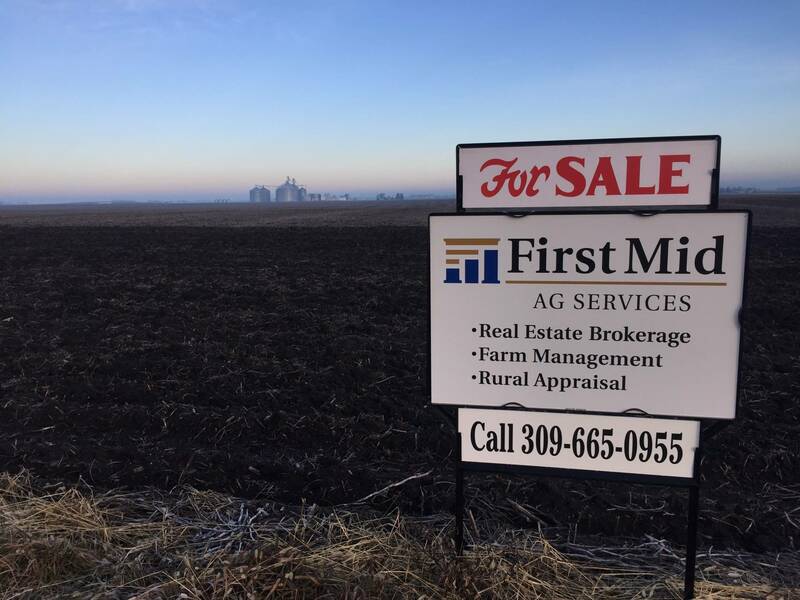 (Bloomington, IL -- March 21, 2019) Farmland values and rents in Illinois are holding steady across most of the state according to the 2019 Farmland Values and Lease Trends Report released today by the Illinois Society of Professional Farm Managers and Rural Appraisers. The information was discussed at the group’s annual Land Value Conference held here. All regions indicated a stable market at year end for both high quality farmland and lease rental rates. The data summarized on all regions by the University of Illinois’ Dr. Bruce Sherrick found the following results: Excellent and Good soil productivity farmland prices were stable. Average and Fair land prices actually experienced price increases in the data set. This may have been as a result of a higher number of larger irrigated farmland tracts being sold in 2018 as compared to previous years, and a higher number of sales at the upper end of the soil quality range. Annual growth rates compounded over time continue to be above 4 percent in most land classes and time spectrums. “In our year-end survey we see what appraisers and farmland real estate brokers believe they are seeing,” Klein continues. “The U of I’s Dr. Schnitkey, Ph.D. captured their observations and outlook. ISPFMRA and RLI Members monitor the pulse of the Illinois farmland market every day. The information in our report suggests is there is significant variation between certain local areas within each region of the Illinois farmland market right now. The general sentiment of our membership’s survey showed characteristics of a market that is remaining steady to slightly lower. Characteristics of farms sold in 2018 were both larger in size and higher in quality, as compared to 2017. • Sellers of Farmland – Estates accounted for 55 percent of the volume of Illinois farmland sold. This is statistically the same for several years and an indication of a healthy farmland market. 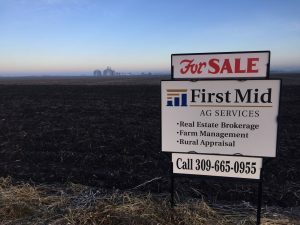 Active farmer selling was estimated at 11 percent, which is 8 percent higher than the 3 percent estimated in 2012 when farmland values were nearing their peak. Maybe a few more farmer-leaseback sales lately than we experienced five plus years ago. • Buyers of Farmland -- Farmers accounted for 59 percent of the purchase made in 2018. Most were reinvesting into their farm business – where they know the value as well as anyone! When farmers stepped aside, investors are looking for opportunities, especially in some of the more moderate land classes. • Methods of Sale -- More farms were sold by private treaty in 2018 than any other method, a continued trend from past years. This signals more negotiating was occurring as buyers attempt to minimize downside price risk. Thirty-nine percent of the transactions were estimated to be at auction, up about 4 percent from last year. In an uncertain market auctions can bring decision makers together quickly! As a result, we continued to see some “no sales” occurring at auction. But areas of tightly held land, such as in western Sangamon, Morgan, Ogle and Woodford Counties, continued to sell prime farmland at near record levels. • Cash Rents – Generally speaking, farm incomes were stable in 2018 as compared to 2017, with additional challenges anticipated in 2019. Frequently crop share leases turn over to at least a modified cash rent lease when land is bought and sold. Cash rents for 2018 remained at a $325 average rate on excellent quality farmland. Most ISPFMRA members expect 2019 cash rents on excellent quality soil farms to be near that same level or slightly less. Landowners have been resistant to move much lower. In pockets of Illinois with narrow cash grain basis, open market rental of farmland continues to be strong. • Net Farm Income –While 2018 provided continued challenges, great soybean production state-wide will keep farm incomes within range of previous years. Government MFP Program payments provided many producers with a nominal amount of additional cash flow in the last quarter of 2018 or first quarter of 2019. Spring crop insurance prices will be similar for corn as compared to 2018 but lower for soybeans. This offers less overall revenue protection for 2019. On the expense side, real estate taxes continue to rise, and crop input providers are being challenged by farmers this winter to become more competitive to help their bottom line. • Cash Return on Investment -- The traditional 3.5 - 4.0 percent cash return on farmland investments is diminished by the lower commodity prices and high input costs. Those cash returns are now in the 2.0 - 3.0 percent range. Several investors still find this acceptable when looking at alternatives and the opportunity for portfolio diversification. Interest Rates – Rising interest rates started in 2016 and continued to increase in 2018. While we anticipate fewer adjustments in 2019 and we continue to be at historically low levels for borrowers, this was a concern for 74 percent of those surveyed. Growing grain inventories -- 66 percent of our respondents are concerned about potential price decreases if another record U.S. crop is grown in 2019. Government Policy – Trade and tariff policies with China continue to weigh on prices. Market Loss Facilitation payments have helped “fill the gap” with a particularly large soybean crop to help stabilize returns. • Dollar Exchange Rate – Other worldwide currencies were devalued in the latter part of 2015 and early 2016 which made investment in anything U.S. less attractive. The dollar is currently strong as compared to other currencies which is not particularly helpful in a worldwide market. • Auction Sales – Auction sales continue to show both pockets of strength and relative softness. Class A Farms selling in McLean County for as high as $13,100-13,800, in Fulton and Hancock Counties for $12,000-$15,000 or Sangamon County fairly consistently in the $12,000’s per acre, late in 2018 all show strength still exists in areas. It takes a tight supply, which we generally are experiencing, and at least two motivated buyers to make a good auction. In some cases that is all that are present as the number of active bidders at each auction seems to be diminishing. • Tract Sizes -- Tract sizes were generally larger in 2018 than 2017 in our data set. • Soil Productivity – We noticed that the average soil productivity on tracts sold in 2018 were higher than 2017. This may be part of the reason we saw some higher average prices in certain land classes in an otherwise similar-to-softer market. • Transitional/Development Land – Very few tracts of land continue to be sold for development. While new construction activity is slowly picking up in the collar counties, many are in existing subdivision developments that were started 10+ years ago. As a result, very little 1031 tax deferred exchange money exists in the current market. When those buyers were present, they definitely helped absorb supply. • Institutional Money – Larger tracts of land continue to draw interest from institutional investors, pension funds, international buyers and others. This source of demand for farmland in Illinois has likely kept values more stable than restrictive ownership states west of the Mississippi River. Illinois is friendly to this type of buyer, and will be needed in 2019. • Farmland Availability – Farmland supply to the market remained fairly tight throughout 2018. Fifty Seven percent believed there was either the same volume or less farmland available to purchase than in 2017, while 37 percent thought there was at least some increase in supply. At this time, most of our membership expects 2019 to see a slightly larger supply come to the market. In Summary: 2018 provided us with excellent production and supplemented prices. We anticipate less support as we go into 2019. Record grain harvests of our main crops the past three years, combined with trade policy challenges, led to continued pressure on soybean prices. Farm incomes and farmland values are adjusting. Interest rates and farm debt-to-asset ratios remain historically low as farmers manage their balance sheets. Crop input costs continue to moderate. Competition for land remains relatively strong in most areas. Yet, productive farmland continues to be a hard asset safe-haven for both farmers and investors.